Congregation B'rith Israel occupied the above structure on Hickory Street near William on the east side of Buffalo. The synagogue was completed in 1898 and was used for 14 years until the congregation built a larger synagogue a few doors down. 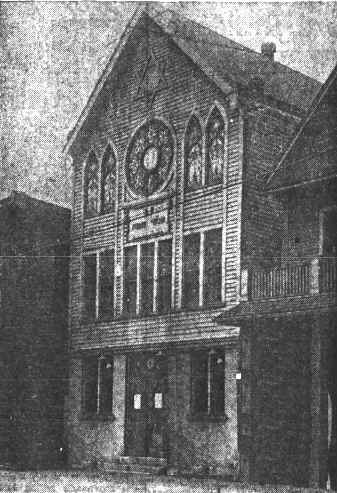 The original shul was sold at that time to Congregation Anshe Emes.